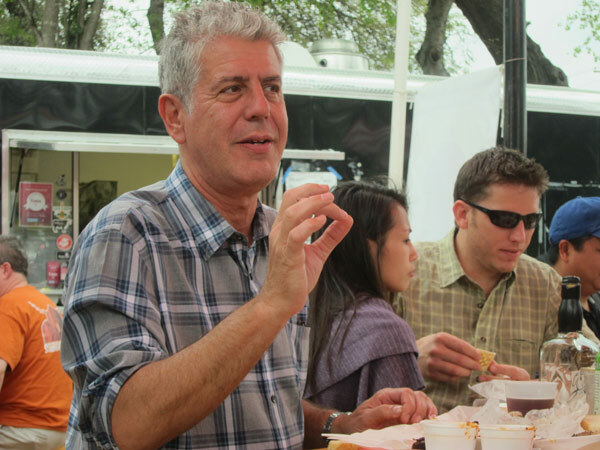 "Just about everywhere I go there's some young chef with a lot of tattoos of animals on their arms with their really good charcuterie program..."
World traveler, TV host and king of food quotes Anthony Bourdain submitted to a Reddit AMA ("Ask Me Anything") last night and not surprisingly, there are plenty of fascinating insights and lovable rants ("I would like to see the pumpkin spice craze drowned in its own blood..."). One highlight of the food frenzy he's down with: smaller cities getting the recognition they deserve. bscepter asked "What is the most unexpected 'foodie' city in the US?" 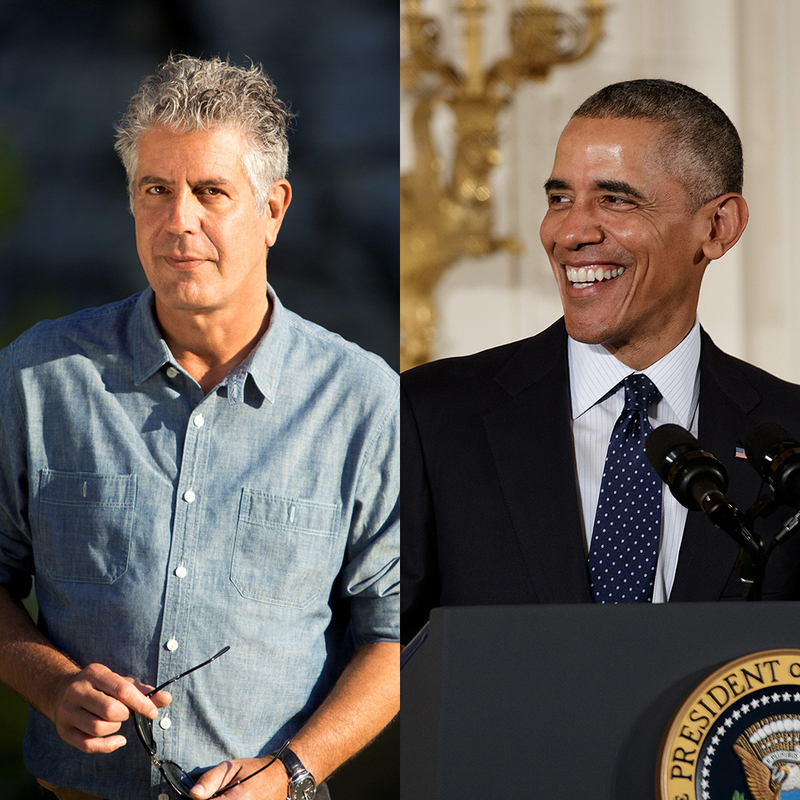 Bourdain praised the question and shared a long list of winners: "Nashville, TN; Asheville, NC; Minneapolis, for a very long time had really good food and a lot of great chefs. I think Los Angeles is wildly underrated; it was famous for years and appreciated for its strip mall food, it's Korean and Mexican and Latino food. But man, some of the restaurants that have been opening in the last 10 years are really really good. Everybody knows Seattle and Portland are great." "But yeah, off the top of my head, I'm kinda looking at the South," he wrote. "Charleston...another one. 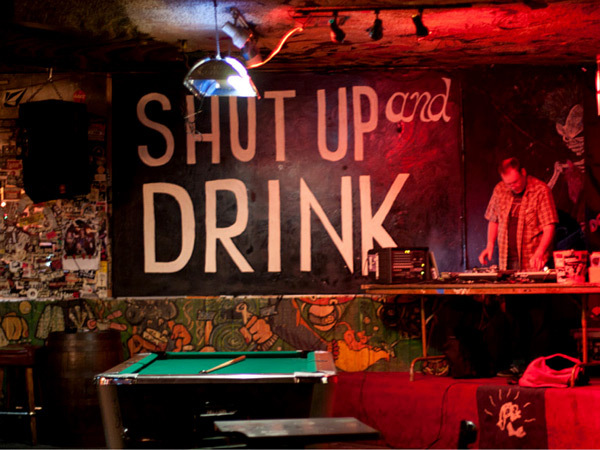 But it's hard to say that these places are underrated. I mean, people are finding out how good they are. There's never been a better time to eat in America, honestly." One warning for visitors in Nashville, though: Beware of the Hot Chicken. In a question from CroatAxeMan about moments during filming "that scared the crap out of you," Bourdain shared some serious concerns about some of the more dangerous places he's visited, like "DRC--the Democratic Not-So-Democratic Republic of the Congo," Libya and Beirut. Bourdain concluded with some hilarious TMI: "immediately after eating Nashville Hot Chicken, that was truly, truly terrifying. And if you're considering going to Nashville, by the way, please notice that Nashvillians themselves don't eat the extra-hot fried chicken. They know better. Unless you've got three or four days to spend in a bathroom, I really advise against that."